The time has come once again to gather the very fabric which holds the Psytrance scene together in the U.S. and celebrate one of the BEST things in life.... " GEMINI ". Sound on both stages by: Full Circle featuring a giant system for the Dance Stage with over 50,000 watts of Pleasure! Full Circle and The Phoenix Family is association with Straylight Productions and Xcience bring you Gemini 2009. Over the years Gemini has secured itself as the longest running yearly psy trance festival on the west coast, and has built the reputation as one of the best vibed and premiere events of its kind in North America. This year will be no different, though it will experience some organizational differences as its father and our dear friend Wichdokta takes the year off to bring another Gemini into this world. Rest assured though, this years gathering will maintain the exceptional standard of music, deco and most importantly vibe and intention. As it is this, this intention, this gift of this free event to the trance community, and bringing together of talent and tribes that truly makes this event the special one it is. HYPNOTOAD ( Light-O-Matic / PSI ) – N.Y.C. KAMELEON & LABYRINTH ( Pure Perceptions Records ) – Greenville, S.C.
KNOB ( Alladin Project ) – N.Y.C. LUCINA ( Dreamcatcher ) – N.Y.C. TONY UNORTHODOX ( 28th Day ) – N.Y.C. OPEN SOURCE CODE – Greenville, S.C.
NIYAD DAIYAD – Greenville, S.C.
KAMELEON & LABYRINTH ( Pure Perception Records ) – Greenville, S.C. The venue is literally a town to itself. 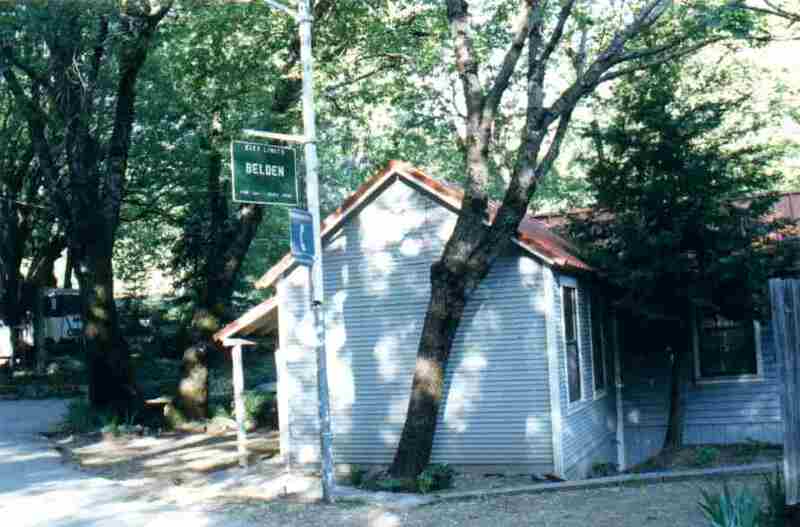 Belden, CA is a small town formed at a trail head to the famed Pacific Crest hiking trail. Situated deep in the Feather River Canyon, you are surrounded by towering mountains and pines. Belden features a full service restaurant and bar, a country store, R.V. hookups, lots of shaded camping, inside restrooms with running water, a riverside beach and swimming hole, and of course one very pleasant tree covered dance floor. Directions to Belden can be easily found by searching in any online map source. Music starts at 6:00pm Friday June 12, and ends at 5:00pm Sunday June 14. Please carpool if possible, it makes the road trip just that much better, and fewer cars just makes things that much nicer at the venue. Please bring all your proper camping gear, flashlights, smiles, comfortable shoes, water toys, and clothes for warm days and cool nights. Please no pets or dogs. Animals have sensitive hearing and large scale sound systems can be quite unpleasant for them. Please be aware (you will see plenty of evidence of this) that you are in a wild fire prone area. Please be cautious of your cigarettes, NO campfires of any kind are allowed, and any and all fire performance must first be cleared through the venue and org’s. Please pack it in, pack it out. We will have on site garbage, but in order to not overload the dumpster, please make plans to take your trash home with you. And one last time, this is a free event, a gift to the North American Trance community, please come and enjoy a wonderful weekend with all of us. Additional Info to come so stay posted. Let's make this the gathering we all been dreaming about. This is your call to action to get everyone involved. Let’s get ready to "RUMBLE".